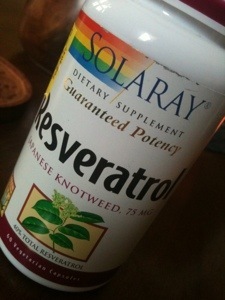 Imagine my disbelief today when I learned that, of all the unlikely suspects, Japanese Knotweed is a powerful medicinal plant, potent in holistic healing for Lyme disease patients! Gardeners, ecologists, foresters, wildlife biologists all stand with a monolithic conviction or even a hatred for this invasive, nuisance species. Yeah, this guy. Cringe with me, gardeners. Japanese knotweed has devastated so much of my region’s natural habitat. Forests and woodlands especially are being smothered by it’s merciless, tenacious spread. I’m slightly mollified that it is good for something specific that we North Eastern residents sincerely need. 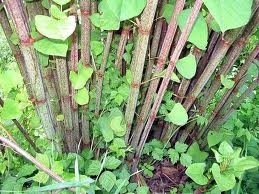 I plan to eat all the Japanese Knotweed baby shoots that break into my (organic) garden this spring: that is how they are traditionally enjoyed in Japan, baby shoots of the invasive plant (though native plant when in Japan) are apparently delicious when sautéed or stirfried. So today, in light of new information, a useless bully of an invasive plant was transformed into a bully invasive but medicinal plant. And one that I look forward to using, and cutting into it’s overgrown invasive population for the benefit of loved ones, for medicinal plant use.